Dignity Health purchased luxury suites, known as a skybox, at the recently opened Levi’s Stadium. Skyboxes at the new venue cost at least $2.5 million. 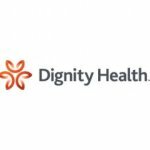 Dignity Healthy is a San Francisco-based nonprofit public benefit corporation that operates hospitals in approximately 20 states. On the Central Coast, it owns French Hospital in San Luis Obispo, Arroyo Grande Community Hospital and Marian Regional Medical Center in Santa Maria. Like Dignity Health, Blue Shield of California, a nonprofit health plan provider, also purchased a skybox at Levi’s Stadium. “It’s scandalous that two not-for-profit health care companies that are exempt from state taxes waste millions of dollars on luxury skyboxes rather than putting those charitable dollars toward patient care or lower premiums,” said Jamie Court of Consumer Watchdog. Court’s organization is pushing a November ballot initiative, Proposition 45, that would require California health care companies to get approval from the state insurance commission before raising insurance rates. 1) Executives of many, many non-profits are greedy just like executives of for-profits – “THEY ARE ABSOLUTLY ENTITLED”. You can bet the executives of these non-profits and their families will be spending lots of time in the 49er skyboxes. Certainly, by now, on the central coast there have been enough non-profit scandals that all should understand that many, many non-profits are used to enrich the leaders of the non-profit who often successfully are portrayed in the media and to the public as champions of their “cause”. Just like politicians. 2) Non-profits are often set up to siphon off huge amounts of “profit” legally to the top executives. The great thing about a successfully run non-profit is there is no stock holders so there is plenty of money to siphon off to the executives, yet the amount may look small compared to the overall budget of the non-profit, thus disguising what is going on. It is particularly striking how in the dark people on the left are about this practice as they embrace non-profits as the answer for all their causes. Often the stealth way the money is siphoned off is through a for-profit management company that is contracted with by the non-profit company to manage the non-profit’s business. Very often the “heads” of the non-profit are not even employees of the non-profit, but are employees of the for-profit management company. Most of the time the employees of the non-profit have no idea the “head management of the non-profit” are not employees of the non-profit because the for-profit management team uses offices of the non-profit and they seamlessly act and talk like employees of the non-profit. The tip off is looking at the required annual documents all non-profits have to file with the Federal Government (available online). If there is a substantial expense listed for fees to a company for some kind of management services it may be a money syphon situation. The for-profit management company will have only a few employees, but may be paid hundreds of thousands or millions of dollars. As a private for-profit company the books of the for-profit are closed to public view so there is no way to know how that money is being spent. Non-profits, for the most part, are huge corporations that pay no taxes. Every time I read that a hospital is non profit I get sick to my stomach. The only problem with that is that I can’t afford their non-profit fees. I guess maybe I’ll just go buy a ticket to a 49er football game and join the party. Another instance where our government with the help of the irs picks winners and losers. They also donate a ton of money to our politicians who are going to be standing in line to sit there crooked butts in those luxury boxes. Wake up people!